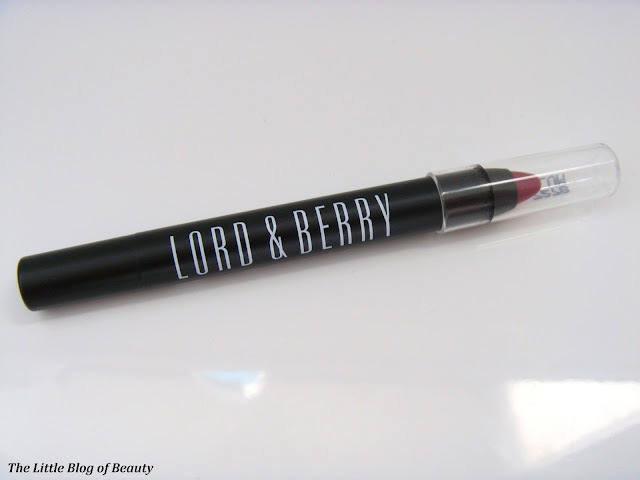 I've had my eye on Lord & Berry's lipstick crayons for a while now but haven't yet got round to trying one. I don't believe they're widely available in the UK but I had noticed that ASOS have a small selection of their products. 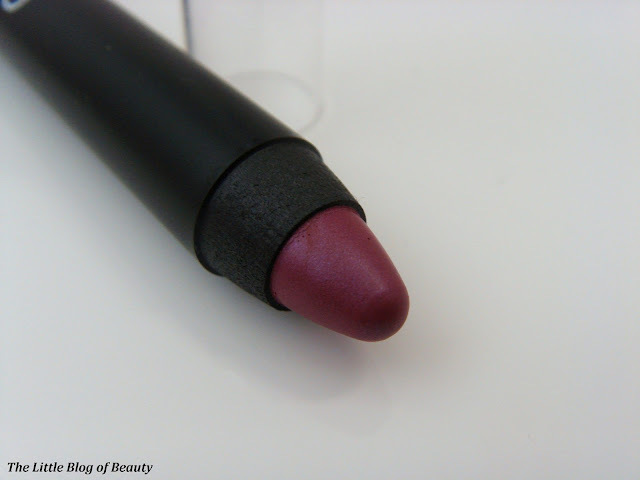 When ASOS recently offered up to 30% off selected beauty for 24 hours I thought I'd take a look at what was available and found the lipstick crayons were down from £8 to £5.50. One of the things I love about ASOS is the free delivery, no matter how small or cheap your order is, so I grabbed a couple of beauty bargains. The crayon is thicker than I was expecting it to be, for some reason I thought it would be slim (no idea why!) but it's actually a bit chunkier which I do like as my bottom lip at least is quite full and I get bored filling it in with a thin product. I love the simple black packaging with white writing and the clear lid means you can see the colour of the crayon. 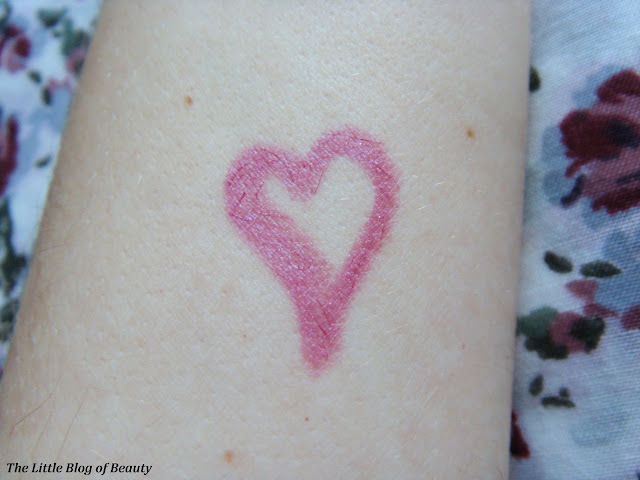 The lid does also have the colour printed on it but this may rub off over time especially if stored in your handbag. 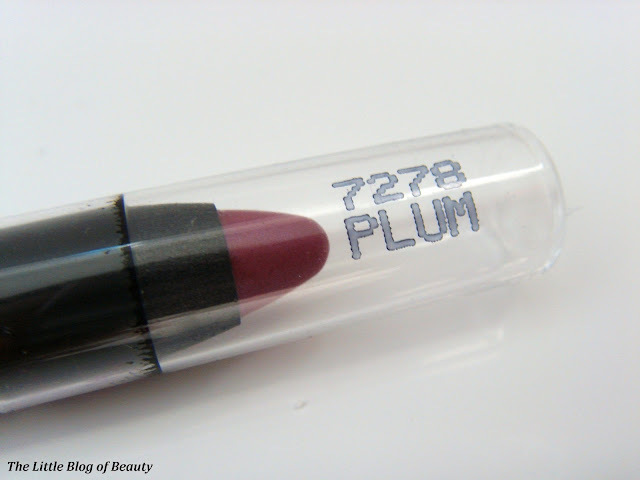 I nearly ordered this in Cherry, which is the sort of shade I usually go for but as I don't currently have any darker more berry type shades I thought it was a good opportunity to try one out so decided to go for Plum and I love it! I would say it's a mid-berry shade, slightly darker than shows in the swatch. I didn't want anything too dark as I don't think really dark shades suit me and this is perfect. 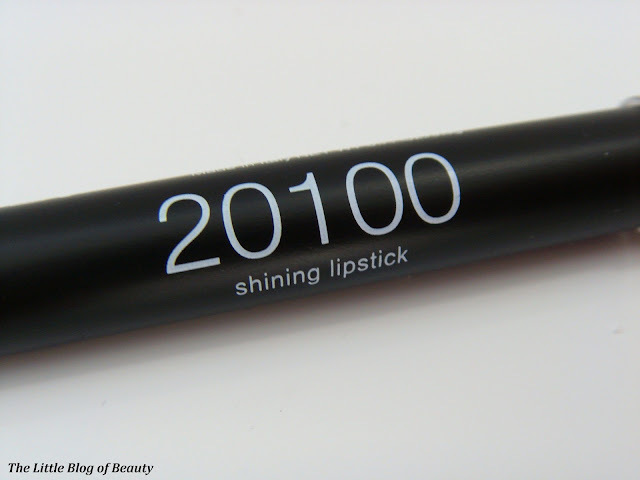 This smells just like MAC lipsticks with a lovely vanilla scent that I really like and it's so soft it just melts onto your lips. On Sunday I went out for a family meal as my granddad had come to visit and I decided to test drive this over a 3 course meal. When I returned home around 3 and a half hours later I checked it and found that it was still in place but had faded evenly to a lighter colour that still looked really good. It had settled down slightly into the cracks in my lips but you could only see this up close and if I smiled. In general I think this did really well to last so intact through drinking and a 3 course meal over several hours. As I said I picked this up in the sale for just £5.50 but I wouldn't hesitate to pay the full £8 for one of these, which I think is a bargain price and I'm considering getting Cherry as well. You can find the Lord & Berry range on ASOS here. This is a gorgeous color (: but I have never heard of this brand before!